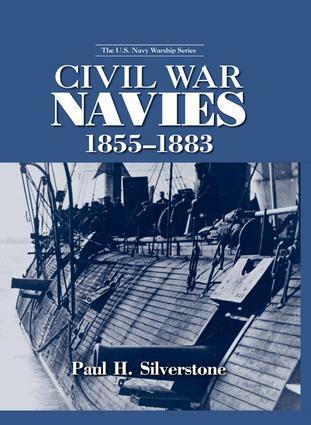 Civil War Navies 1855-1883 is the second in the five-volume US Navy Warships encyclopedia set. This valuable reference lists the ships of the U.S. Navy and Confederate Navy during the Civil War and the years immediately following - a significant period in the evolution of warships, the use of steam propulsion, and the development of ordnance. Civil War Navies provides a wealth and variety of material not found in other books on the subject and will save the reader the effort needed to track down information in multiple sources. Each ship's size and time and place of construction are listed, along with particulars of naval service. The author provides historical details that include actions fought, damage sustained, prizes taken, ships sunk, and dates in and out of commission, as well as information about when the ship left the Navy, names used in other services, and its ultimate fate. 140 photographs, including one of the Confederate cruiser Alabama recently uncovered by the author further contribute to this indispensable volume. This definitive record of Civil War ships updates the author's previous work and will find a lasting place among naval reference works.